Drawing From City's Proud Past, Can Casino Spur Revival in Springfield, Mass.? Roughly three years after breaking ground, MGM Springfield is set to open Aug. 24. NBC10 Boston's Jackie Bruno got a sneak peak at the $960 million hotel and casino complex. Standing on Springfield's Main Street, the nearly $1 billion resort casino meant to spark a downtown renaissance doesn't immediately scream Las Vegas glitz. There's no neon-lit billboard, no soaring tower of glass and steel. Instead, two modest signs bearing the MGM initials are set against a backdrop of low-slung brick and stone facades meant to blend with -- not dominate-- the historic streetscape of this storied but struggling New England city. "That's the thing we're most proud of," said company president Bill Hornbuckle before casino officials gave The Associated Press an inside look at the property last week as it nears completion. "We didn't just put a big, ugly box in the middle of downtown." Roughly three years after breaking ground, MGM Springfield opens Aug. 24 as Massachusetts' first resort casino. The state's currently home to a more modest slots parlor south of Boston. The MGM project is the latest test case for whether casinos can spur revival in America's forgotten corners. It also renews debate about whether the Northeast is already oversaturated with gambling options. Spanning three city blocks, the 14-acre gambling, hotel and entertainment complex is the centerpiece of a recent wave of new investment for Springfield, which is about 90 miles west of Boston and has among the state's highest poverty and unemployment rates. A new museum dedicated to hometown hero Theodor "Dr. Seuss" Geisel opened last summer, commuter rail service launched this summer in a restored Union Station, and a Chinese manufacturer is churning out subway cars from a new factory. "We've become something much more than we were," says Kevin Kennedy, the city's chief development officer. "The casino has been a catalyst for many of those things." 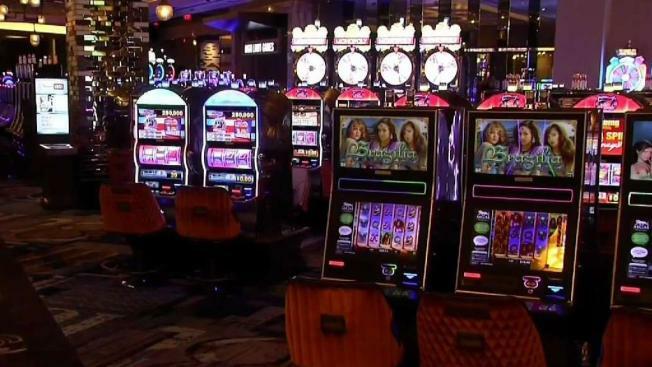 But it's an open question whether the casino can meet its lofty financial promises, including hundreds of millions in tax revenue to the state, say some industry watchers. Overall gambling revenues could come in "10 to 12 percent" lower than the roughly $500 million annually the company projected four years ago, based on how regional casinos are currently performing, says Paul DeBole, a political science professor at Lasell College in Newton, Massachusetts. A cautionary tale is upstate New York, where some casinos that recently opened with similar promises of economic revival have underperformed. At least two are already seeking a state bailout. "There is no question that the glamor of casino gaming is waning as it becomes a common commodity," says Clyde Barrow, a political science professor at the University of Texas-Rio Grande Valley who has long studied the Northeast casino landscape. The challenges of keeping patrons coming will only magnify when new entrants join the fray, adds Richard McGowan, a business professor at Boston College. Wynn Resorts is set to open a flashy, $2 billion facility in the Boston area next year, and the Native American tribes that own Foxwoods and Mohegan Sun are jointly proposing a third Connecticut casino just across the state line from MGM Springfield. MGM officials didn't immediately respond, but Hornbuckle, the company president, said in an earlier interview the Springfield casino reflects new tastes. The gambling floor has more of the table games like blackjack and roulette favored by younger patrons and less slot machines than originally planned. The casino also doubles down on non-gambling entertainment, bringing a movie theater and bowling alley to a downtown lacking those amenities, promises of major musical acts for the nearby arena (Stevie Wonder is among the early acts) and seasonal events for its outdoor plaza, like farmer's markets and ice skating. And MGM Springfield's unusual design, which incorporates old downtown buildings and facades, is meant to set it apart and encourage downtown exploration. A castle-like armory building has been reborn as a centerpiece for the casino's outdoor plaza while a historic brick church was uprooted and moved a few hundred yards to serve as another plaza anchor and retail space. Vintage artifacts and curiosities throughout the casino interior evoke Springfield's industrial and literary roots. Hotel rooms are adorned with quotations from Emily Dickinson, the Victorian-era poet who lived nearby, and references to the dictionary by Merriam-Webster, which is still headquartered in the city. The casino sports bar draws from Springfield's basketball cred (the sport was invented there and its home to the Basketball Hall of Fame) while a museum exhibit highlights the city's contributions to turn-of-the-century innovations like the stock ticker and phonograph. "The product speaks for itself," Hornbuckle says. "It's engaging. It respects the history. People are very prideful in Springfield, and I think that will come through."